Riverside Meadows is located on the banks of the Rio Grande. We have made available 3 beautifully handcrafted log cabins that each offer privacy and seclusion. Amenities include a hot tub, picnic area/fire pit next to the river, kayaks, and more. 5 luxury vacation chalets - with full amenities, hot tub on private porch, stocked pond, 600 feet of the Rio Grande River & 13 minutes from Wolf Creek Ski Area. RV park with 42 sites, full hook-up, rec room, laundry and showers. Cabin for rent - sleeps 4. Free wi-fi, dish cable available in office and rec hall. Close walk to the Rio Grande River, 20 minutes from Wolf Creek Ski Area! Recently updated cabins within walking distance of the Rio Grande River. Ride your ATV/UTV right from your cabin into the national forest! 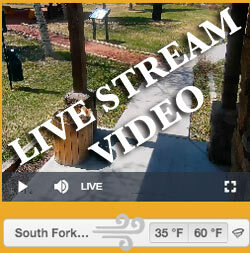 We are one of the few lodging places in South Fork on the ATV route. Our cabins offer free WiFi, fully stocked kitchens, satellite TV, and ice on premises. 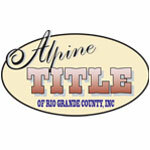 An RV community, providing a central location to explore South Fork & the Upper Rio Grande. All sites have Full Hookups w/both 50 & 30 AMP. Clean Restrooms, Showers, Laundry, Free Wifi, Fish Cleaning Station & Dog Run. Conveniently located on South Fork's Silver Spur ATV Trail. 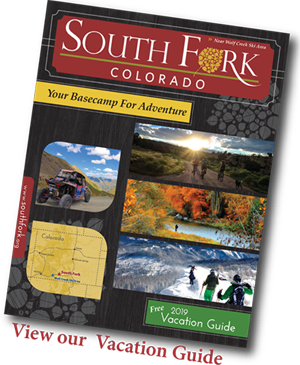 South Fork, Colorado’s Real Estate Source. If you are looking to buy a home/cabin, vacant land or build, call today! We build new homes! Big Country Outfitters specialize in fully guided big game hunts. Our hunts take place right here in the Colorado backcountry. We are proud to offer our services in big game unit 76, unit 79 and unit 80. Ladies boutique, Including apparel-scarves, Custom jewelry, Shoes, Homemade spa products, candles, and American West handbags. Building distinctive homes with excellence and integrity for over 18 years. Quality craftsmanship and finish details evident in every traditional, log and timber frame home we build. Hands-on contractor offering personalized service throughout the building process. An Interdenominational Church serving the San Luis Valley. Church services start at 10:00 a.m. January 2012 - April 2012 and 9:00 a.m. May 2012 - December 2012. Also offering Pioneer Club for children and a Montessori program.